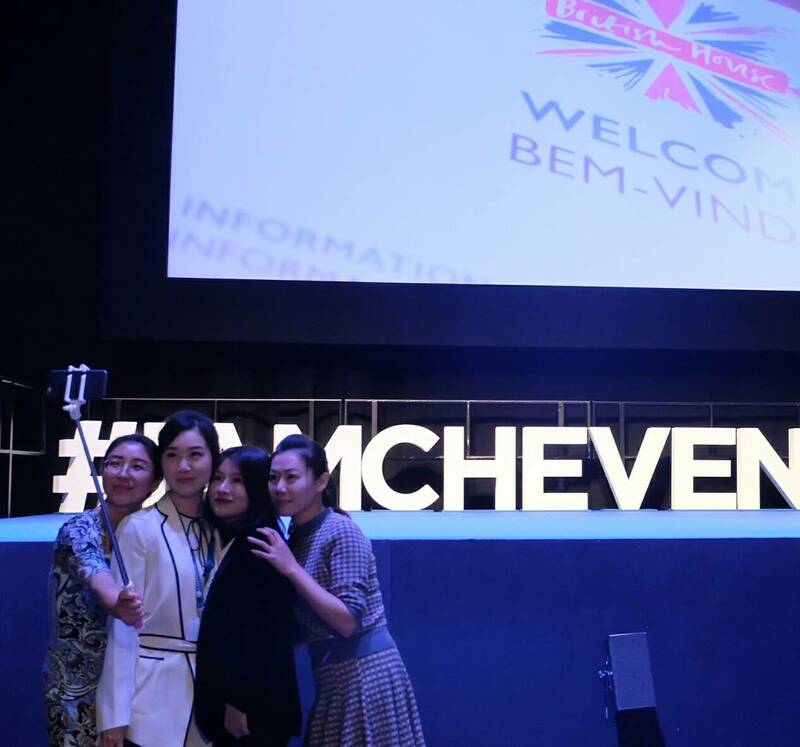 Last year, today, June 8th – I received an email from the Chevening Secretariat to confirm that I was selected to receive the Chevening Awards scholarship from the UK Government. The scholarship gave me a year of experiences to pursue my career interest in HR Management and People Development areas through a master study at the Manchester Business School majoring HR Management. I arrived to Manchester in September 2017 and started #MyCheveningJourney. This Wednesday (June 6th), I just did the last exam of the term, which means that my study is almost finished with 1 thing left: master dissertation, that I will submit at the first week of September 2018 at the latest. I will attend the Manchester Business School Postgraduate Summer Ball this evening to mark the end of the master program as well as Chevening Farewell in London, Alexandra Palace. Time flies! September 2017: I arrived to Manchester at September 13th. I rent a flat near the university with other 2 Chevening scholars from Indonesia. The orientation week from the program director of the Manchester Business School started at the week of September 18th. I had 5 days to set up everything I needed, such as student administration, bank account, water and electricity bill for the flat, etc. The study started at the week of September 25th. It’s a good experience to ‘start a new life’ in a new place and a new culture. I think I don’t have any significant problem in adapting myself, apart of few days of jetlag and be always ready with daily rain in Manchester (as some friends said: Rainchester). October 2017: My first visit to London for attending a welcome reception from the Chevening Secretariat and the UK Government. It was a magnificent atmosphere to be with other scholarship recipients from around the world. In arrival to London, the very first place I visited was 221B Baker Street where the Sherlock Holmes, one of my favorite characters, ‘lived’. I also visited several places that previously I only could see at some pictures, read at some articles, or watch at some videos. November 2017: I teamed up with 2 of my classmates to represent Manchester Business School in joining a debate competition held by the Industrial Society in Manchester. One of my professor convinced me to join the team, although I had almost zero experience in a debate competition, but quite used to involve in negotiation or convincing people (clients) through my previous career. I pushed myself to learn the techniques as well as understanding the UK context to be able to build relevant arguments related to the topic. Surprisingly our tem became the winner and received the first price. It was truly an honor as the year before, the team of Manchester Business School couldn’t make it to win. December 2017: I remember how busy it was as I had to do the first term exams as well as to do my role as the spotlight of Chevening Social Media Ambassador (each ambassador got 1-month spotlight where he/she needs to share in social media quite extensively). However, the month was so magical as in the Christmas break, started at the 3rd week of December, I possibly experienced the most memorable Christmas in my life so far. I travelled to London to meet some friends and to experience some ‘Christmas moments’ there: ice skating at the Natural History Museum, visited Winter Harry Potter’s studio, and enjoyed an evening at the Hyde Park. Few days after visiting London, I travelled to Northern Ireland to visit some Game of Thrones filming areas, continued to Glasgow, Stirling, Inverness, and ended with a white Christmas in Edinburgh. Some Indonesians also gathered at the university of Edinburgh to have a Christmas dinner. January 2018: A new year, new possibilities. Aside of academic studies and travelling around the UK, I also intended to expand my professional networks. Thus, I started to be more ambitious in connecting myself to HR professionals in Manchester and the UK. 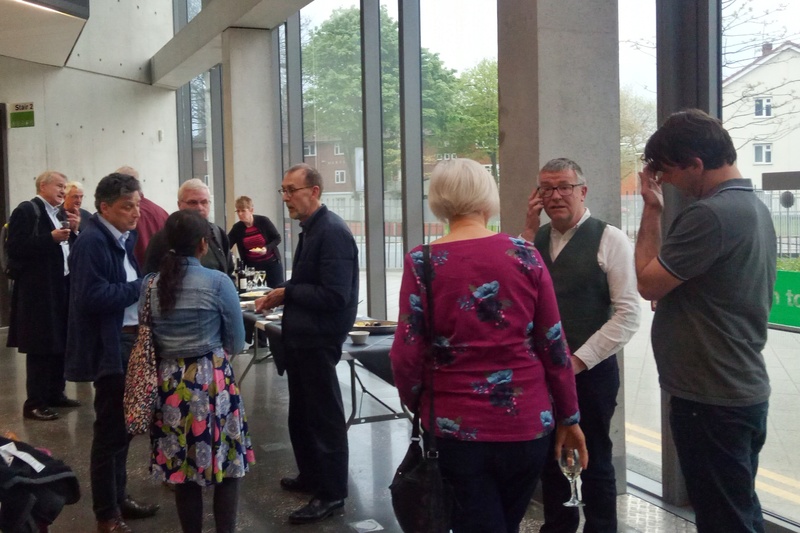 I attended several HR related events, one of them, to me, the most different kind of professional event, was ‘Connecting HR Manchester’ initiated by Coach Ian Pettigrew and some others. The event basically aimed to invite HR professionals in a pub, to connect, and to talk about anything with no theme or topic of discussion set up by the committee. However, I found it really fun and interesting as although I am a student, I felt welcomed by those professionals and they gave me various insights related to HR and People Development issues based on their expertise. February 2018: I won another competition. This was a case-study based competition held by Manchester Business School within its annual HR Conference. My team and I received a case related to a grievance mechanism in Chinese manufactures. We presented some proposed solutions based on several perspectives and theories related to HRM and Industrial Relations issues. I was fortunate enough to have teammates who worked hard to find the best proposed solutions and able to work together, although we had different backgrounds and believes related to the issues. 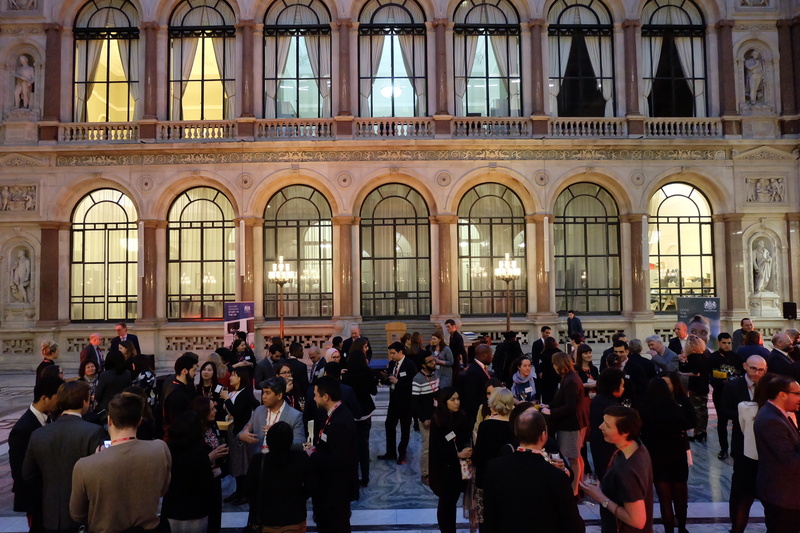 March 2018: My first visit to the UK’s Foregin and Commonwealth Office in London to attend Partners Reception, an event held by the UK government to thank and to appreciate institutions and organization partners for the Chevening Scholarship. I met several representatives from global companies, from banking to oil and gas industries. I was then realized that not all companies who came were already partners, but still considering to be partner. That’s why they came to meet several scholars to understand their experiences. Hopefully they make a commitment to support the program soon! April 2018: If in December 2017 I travelled to the north, I travelled to the south in this month. I joined some other Cheveners to explore the Cornwall area in south-east of England. We visited Eden Project and the city of Falmouth, hosted by the University of Exeter, Penryn Campus. Before coming back to Manchester, I stopped by in the middle of the journey to visit the city of Bath and the infamous Stonehenge. I saw a photo of Stonehenge in my childhood and put it on a list to visit during my year in the UK. 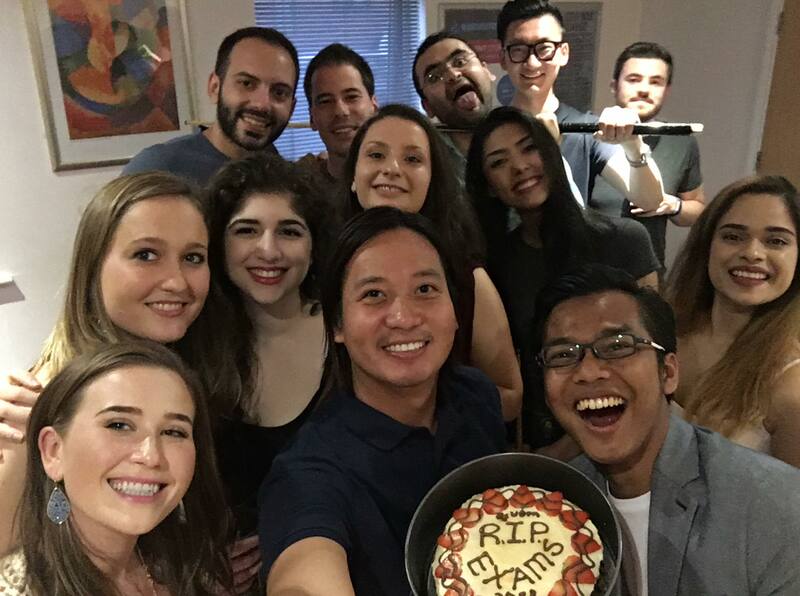 May 2018: Several moments of ‘ending’ on this Month: ending the week of classroom studies, ending my participation at the Manchester Industrial Relations Society (MIRS), and ending my attendance to the Work and Equality Institute (WEI). I joined MIRS and WEI in the beginning of the academic year (around October) in attempt to learn beyond classroom and to connect with professionals and experts related to HRM and Industrial Relations. Although I usually the ‘only student’, I always enjoyed the sessions as they never failed to give me more understanding and insights related to the issues. June 2018: Well, in the first week of June I received an email invitation for the Chevening Farewell in London next month (July 4th) and an instruction to book my flight ticket back to Indonesia. As I mentioned before, I also did the last exam in early June, which means that the term is ended. Marking the end of the master study, I will attend the Manchester Business School Postgraduate Summer Ball later this evening (June 9th). I will update this post with several photos from the event. Beyond those highlights, I indeed travelled to several other cities and regions in the UK, visited some iconic places, tried several iconic foods and beverages, and importantly, made significant numbers of friends and professional networks during the year. #MyCheveningJourney in the UK might soon to end, which also means that I will have several new beginnings with lots of opportunities and challenges ahead. These #CheveningMemories changed my life, and I hope I can amplify the positive impacts I gained this year to the people around me on the next journeys. Previous Post Wow, Beruntung Ada Program Magang Keren Ini di Indonesia! Next Post Would you use simulation/role-play for the hiring process in your organization/company? Pay attention to these 4 points! I am so inspired reading this, You have done pretty well there. I will be heading to University of Manchester too through the Chevening Scholarships and this has been really encouraging for me. I wanted to ask you a few questions about accommodation, would you be willing to respond?